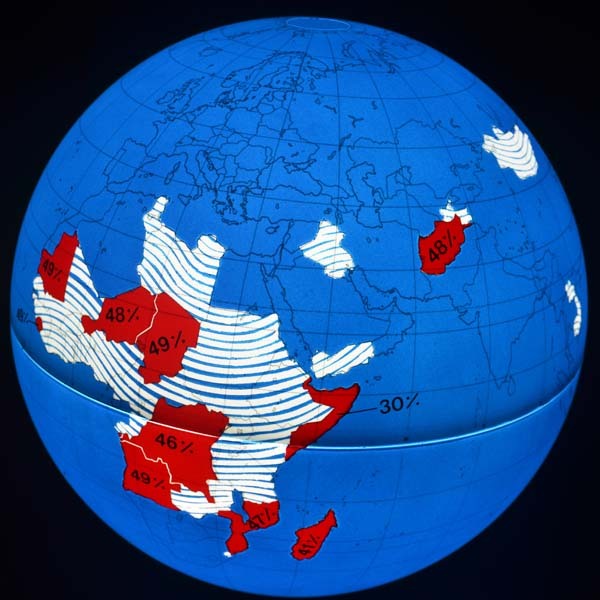 In white countries with blue stripes, the percentage of the population with access to improved drinking water sources is less than 80%. Populations in red countries have less than 50%. Access is defined as within 15 minutes of walking distance.